In the course of her history Mama Cash has influenced other organisations and funders to take the human rights of women and girls more in to account. 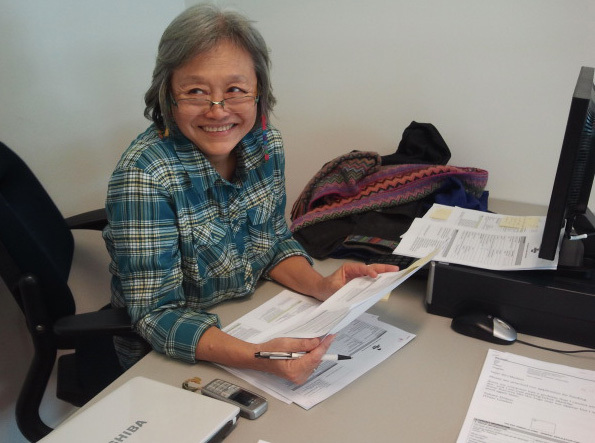 During the 80s and 90s in the Netherlands she persuaded banks to see women entrepreneurs as valued clients. And during the 90s Mama Cash together with other women’s funds inspired institutional donors to set up their own programmes for women’s rights and gender equality. In her first strategic plan 2004-2008, She makes the Difference, Mama Cash decided to put more emphasis on influencing the world of donors and philanthropy. Although a clear strategy was not developed at the time, she wanted to persuade others to invest more money in the rights of women and girls. In 2007, an opportunity appeared to put this plans into action. That same year, the Dutch government founded the MDG3 Fund in accordance with the third United Nations Milennium Development Goal: ‘Equal rights for women and girls in 2015’. Together with organisations such as Hivos, Cordaid and Oxfam Novib, Mama Cash worked to influence the MDG3 Fund’s criteria. While Mama Cash was not eligible for the MDG3 Fund’s subsidies, she was committed to making sure that smaller, marginalised groups within the women’s movement could qualify for the funds. The fund was a great success. Instead of the projected 50 million euros, in the end the Dutch government granted 70 million euros to 45 women’s rights organisations and women’s funds in 2008. Fourteen of them had been grantees of Mama Cash. Mama Cash organised, for example, a workshop for the Oak Foundation, addressing the issue of how to evaluate grant requests using a gender lens. Nicky McIntyre, Executive Director of Mama Cash since 2008: ‘Our employees sought to train the Oak Foundation staff how to ask questions such as: “In what way will women and girls benefit from the money requested?” Or: “Why is it that women are not involved in decision making in your organisation?” (watch interview) Kathleen Cravero-Kristoffersson, President of the Oak Foundation : ‘Our staff was very excited. Much of what Mama Cash showed us was an eye-opener to them. We now have the knowledge to pose these questions ourselves to the organisations requesting grants from us. In this way, we can pass on the knowledge to our grantees. We have integreated this way of working into all our programmes’. In 2010, Mama Cash conducted a research study that asked how much money was actually given to women’s and girls’ organisations by 145 foundations from 19 European countries. The results were rather shocking, but at the same time promising. Whereas in 2009, not even five percent of the budgets of European foundations had been dedicated to women and girls, ninety percent of the responding funds did indicate an interest in funding women and girls. The report, prepared by the Foundation Center in the United States and Weisblatt & associés in cooperation with the European Foundation Centre, was therefore titled Untapped Potential – European Foundation Funding for Women and Girls. 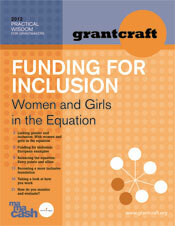 Subsequently, Mama Cash joined with GrantCraft to develop the guide Funding for Inclusion: Women and Girls in the Equation. This guide outlines practical strategies for integrating a commitment to funding women and girls into grantmaking programmes. Many organisations still have a long way to go before they will include women and girls equally in the distribution of funding. The philanthropic world is slowly realising how important it is to invest in women and girls. But this story is mostly told in terms of smart economics and not so much in terms of human rights and shifting power relations. Mama Cash will continue to stress the value of a human rights framework for the funding of women and girls and she is ready to share her years of experience in this field with other organisations.